Is only £40 per week. You control when it starts and stops. Is £75 per week. You control when it starts and stops. For more frequent use, please call us with the details of your requirements to receive your free quotation and easy payment arrangements. Membership gives you access to our friendly and help staff. We are happy to then provide quotations for your individual needs and wants. We deliver a very wide range of services and the price varies depending upon your needs, duration, delivery dates and times etc. Discounts available for more than 1 person. Concierge Services London can only provide services upon your written instruction via an e-mail from your normal e-mail account. Only when we have (a) confirmed our willingness to provide those services and (b) after we have received your deposit is a booking confirmed. 33% of estimated charges are to be credited to our bank account at least 24 hours before accessing Concierge Services London (CSL) services. The outstanding invoiced balance is to be credited to our bank at least 24 hours before the end of CSL service provision. 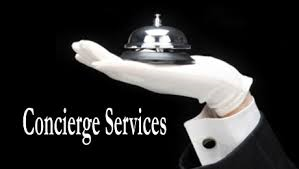 From time to time Concierge Services London may incur expenses on your behalf as we seek to fulfil your requests. These will be itemised agreed with you before the last day of service provision and charged separately. For our mutual convenience we will send invoices and updates on our service provision and subsequent charges to you by e-mail. Our terms and conditions of service provision can be found at the bottom of this website. Verbal assurances by our representatives are not allowed to supersede these documented terms. Always seek written confirmation of any variation in service provision and subsequent charges. Our client/s is deemed to be the person who benefited from the service. Whilst we may accept a booking by an intermediary or other third party we will require by the end of the first day of provision of service, the beneficiaries e-mail address to allow us to inform them of any changes in arrangements that might impact their plans that are time sensitive.